The Datsun redi-GO Limited Edition 2018 is available with both the 0.8-litre and 1.0-litre engines paired with manual transmission. At Rs 3.58 lakh (ex-showroom), the 0.8-litre redi-GO Limited Edition 2018 is priced over the redi-GO 0.8 T(O). Similarly, at Rs 3.85 lakh, the redi-GO 1.0 Limited Edition 2018 is priced over the redi-GO 1.0 T(O). Over the T(O) variant, the limited edition redi-GO gets a roof wrap, body graphics, front and rear bumper undercovers, red insert on grill, tailgate graphics, red and black leather upholstery, accents on AC vents, rear parking sensors, satin chrome gear bezel, chrome inside door handles and carpet mats. 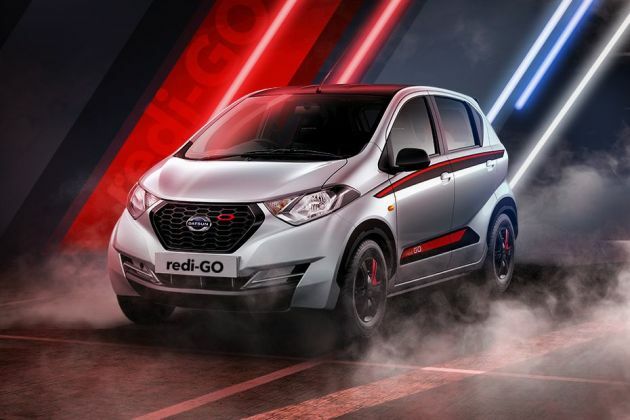 The limited edition redi-GO can be had in white, silver and red exterior colours.